I live part time in Berlin and there wine bars offer a fantastic selection of quality Rioja`s, and other Spanish wines. That`s also were I`ve learned to like them. 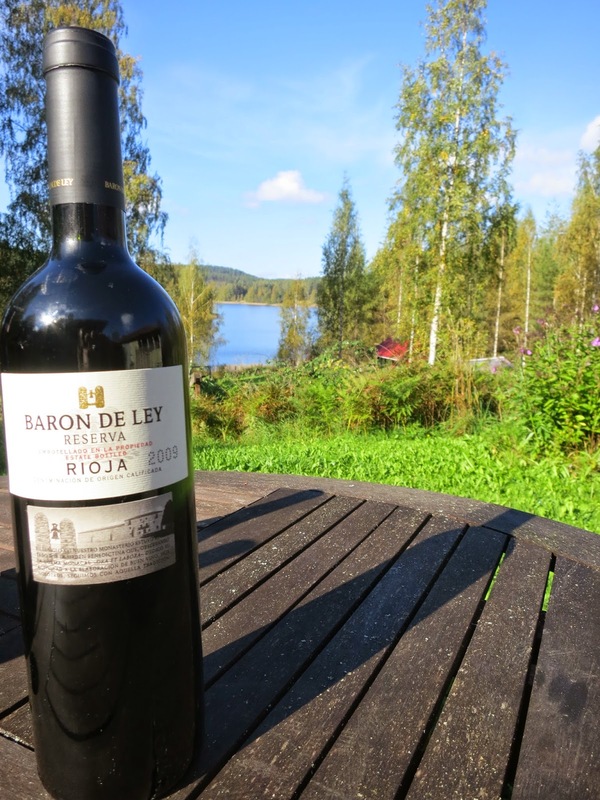 I`m generally not so fond of too oaked style, and I gravitate more towards traditional wines, but Rioja`s are some of my exceptions in this matter. This one I haven`t tasted before, although I have heard many recommendations, and finally decided to try it out..
Color is quite dark, rubin red. Nose is a classic Rioja: oak, leather, tobacco leaves, ripe dark fruits, actually I was surprised how fruity and sweet the smell was. In the background there is also some spices; cumin, anis. Very nice nose indeed. The first taste is almost jammy, lot of ripe plums, really leaning towards New World. But although the initial taste is jammy and "fruitbomb like" its not artifical at all, it`s on the contrary very appealing. All is surrounded with strong, but not overpowering, oak, and with a nice earthyness. Also in the taste there are some spices, cumin, anis, and even some black pepper. The alcohol at the end is present, no Good Rioja with power and some rough edges, but still well structured and delicious.